The latest Coolsculpting applicator from Zeltiq is now available at En-hanze Medispa. 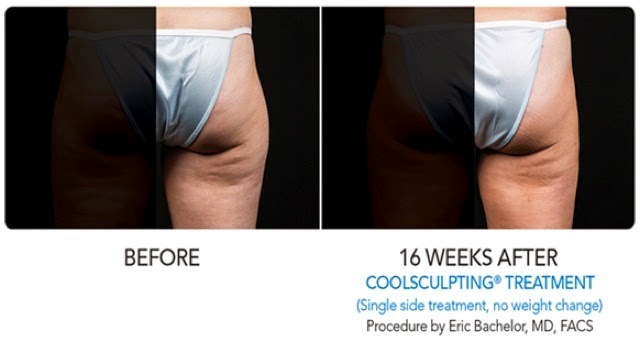 Called the "CoolSmooth Applicator" it is specifically created and designed to treat the ever difficult and stubborn fat in the outer thighs, better known as the saddle bags. We have been waiting for Zeltiq to produce this applicator as many of our female patients want to treat and get rid of their saddle bags without undergoing surgery. The CoolSmooth allows for totally non invasive treatment of saddlebags. 6. CoolSmooth for the outer thighs and saddle bags. Our Medispa has all these applicators now and so we can treat you to transform your figure and body to the desired shape and look, without cutting, without laser, without suction, without pain and without any downtime. Cool Smooth, when applied to the saddle bag fats, will reduce it by 20-30%! Enough to give you a smooth and slimmer thigh. It's a two hour treatment while you relax in our Coolsculpting room with WiFi or while watching a good movie. Our Coolsculpting Therapist will be with you at all times during the treatment.